Eurotrike - top quality trikes that grow with your child and double the fun with a tandem ride! 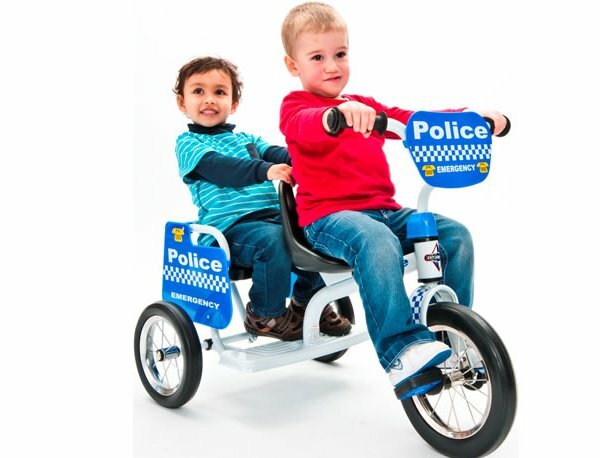 Eurotrike – top quality trikes that grow with your child and double the fun with a tandem ride! 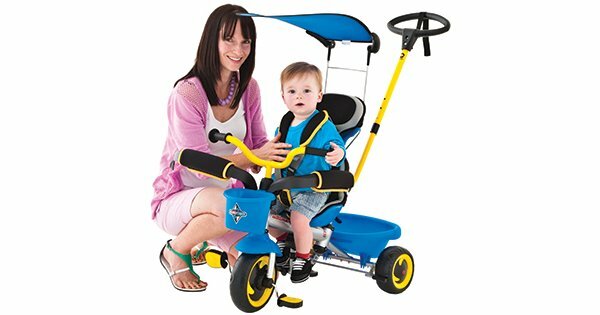 Think your child is too young to feel the gentle breeze in their baby fine hair while out and about on a tricycle? Think again, your little one can enjoy the fun of riding a trike from as young as their first birthday thanks to the awesome innovative team at Eurotrike – time to amend the Christmas gift list for a present both bub and parents will enjoy for years to come! More than a toy, Eurotrike offer quality manufacturing, intelligent innovative design and European style with their impressive range of tricycles, ride-ons and balance bicycles. Invest in Eurotrike and you know you’ll be using the same product in years to come and will even be enjoyed by younger siblings when eventually outgrown – a true testament to their superior steel frame build. The Eurotrike Ultima Plus Trike is the ultimate wheeled ride-on present to bestow upon your tot for a first birthday or Christmas. The bestseller of the Eurotrike range, its amazing ‘grow with me’ design is packed with deluxe inclusions and features to allow even the youngest of riders (suitable for children aged one year and older) a gloriously fun and safe first riding experience. Choose from blue or purple styles, the Trike grows with your child in four stages – 12, 18, 24 and 36 months. Each of the grow with me components can be removed independently of each other, for example the canopy can remain installed while all other first stage features have been removed. 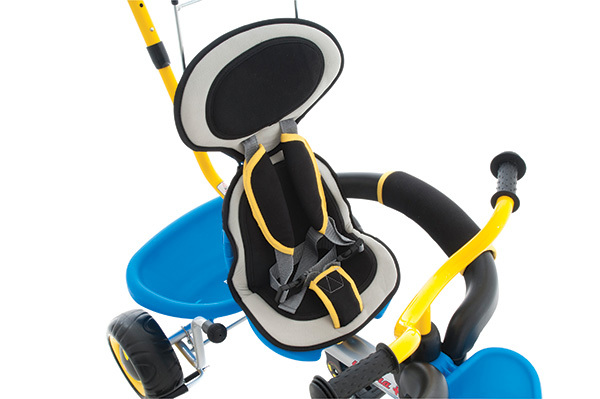 Comfort and safety is paramount with Eurotrike and the attention to detail doesn’t go unnoticed from high back seating, safety rails with padded washable covers that open and close like a door for ease of getting on and off the trike. The handy UV canopy and front and rear baskets mean there’s plenty of opportunity for ferrying treasured toys and having fun outdoors. Parents will love the parent friendly features of the Eurotrike Ultima Plus Trike – a completely adjustable parent push bar caters for parents of all heights and the Auto-steer System, enables the parent pushing to have control over the steering function via the parent push bar. Once your child is confident in steering (and you’re comfortable in their ability! ), the parent push bar can be completely removed. A ride built for two, the Eurotrike Tandem Trike is a superb option for two children who love to play together. The only tandem trike in the market, it generously holds up to 40 kilograms of combined weight for double the fun and rest assured the super strong steel frame will withstand many a taxi ride around the back yard. 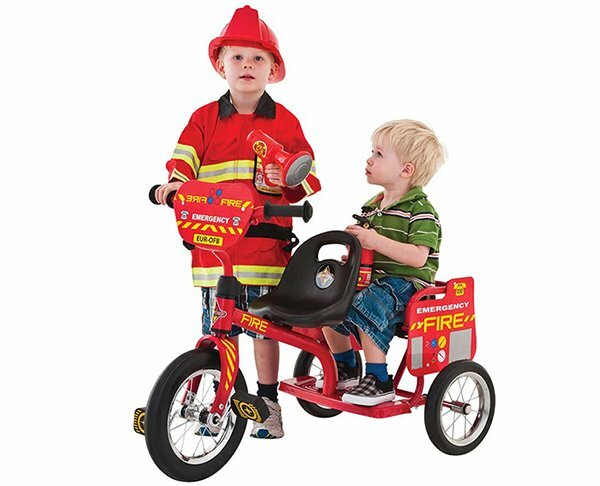 The Tandem Trike is available in three popular role play designs – Fire, Police and Princess and each design sees the trike emblazoned with cool graphics depicting the theme. The rear passenger seat has a footplate to keep the passengers feet safely out of harms way and high backed seating means you can pedal in comfort or sit back and enjoy the ride! 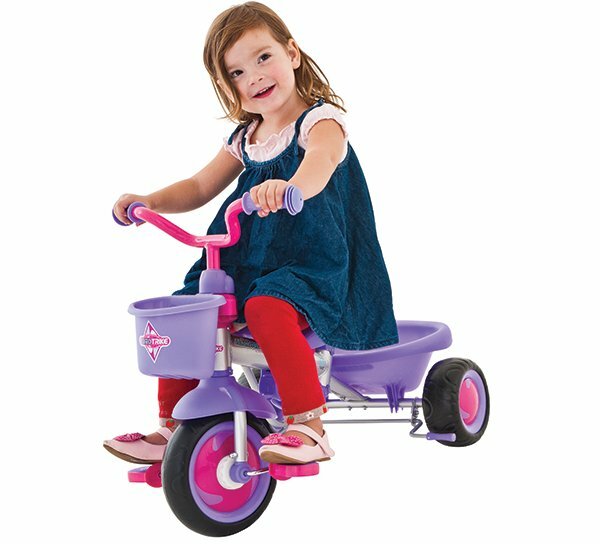 EVA tyres make for a smooth and quiet ride, you can be sure the only noise Eurotrike trikes make will come from the squeals of delight of its riders, rather than the trike itself! Our in-house 2-year-old tester has decided it’s her new favourite toy. Eurotrike customer service is fabulous and should you ever require a replacement part for your trike, they’re only a phone call away. 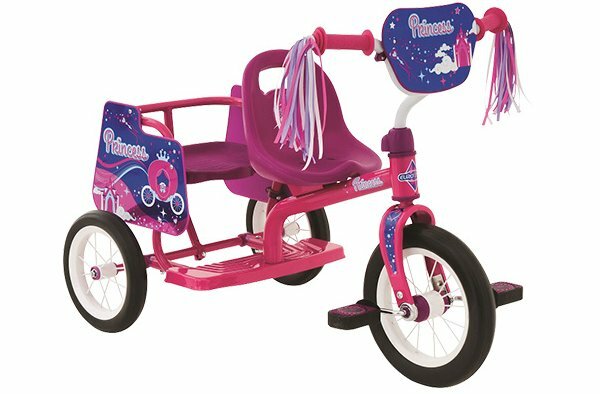 If you’re keen to kick off your child’s peddling future with European style and quality, you can purchase Eurotrike trikes at leading independent toy, bicycle and nursery retailers or online from Baby Bunting, Toyworld and Toys’R’Us.